With the Florida March for Black Women, we made history. Almost 1,000 Black women, girls, femmes, and their allies joined us to take the streets of Miami, demanding that we are heard and celebrated. And that was just the beginning. 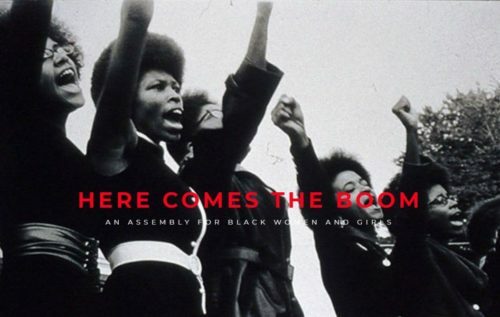 Here Comes the Boom: An Assembly for Black Women and Girls is a conference planned by a dynamic coalition of organizations committed to developing leadership and political power for black women and girls. Our goals at the assembly are to create an inclusive space for youth, trans, gender non-conforming, folks that are differently abled, folks that speak many languages, parents, formerly incarcerated and those with various learning styles. On Friday, June 22 to Saturday, June 23, we will connect participants in the Miami area to what Black women and girls are doing in the community, and develop a political platform representative of our community.